About 1 million adults in the United States need someone to help them eat. 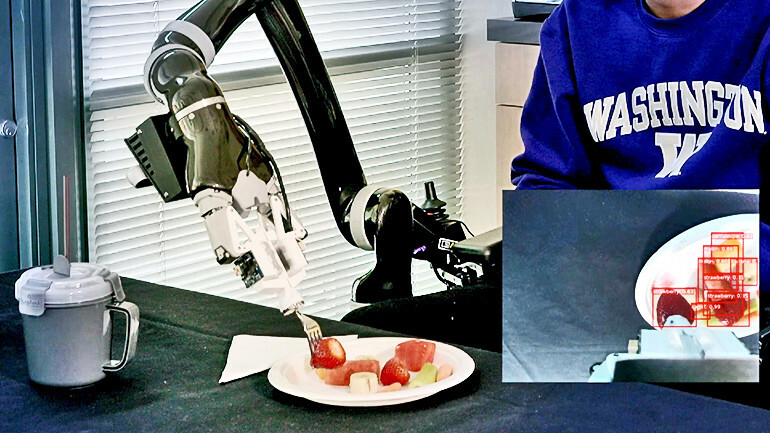 A new robotic system can help make eating easier for people who need assistance, according to new research. 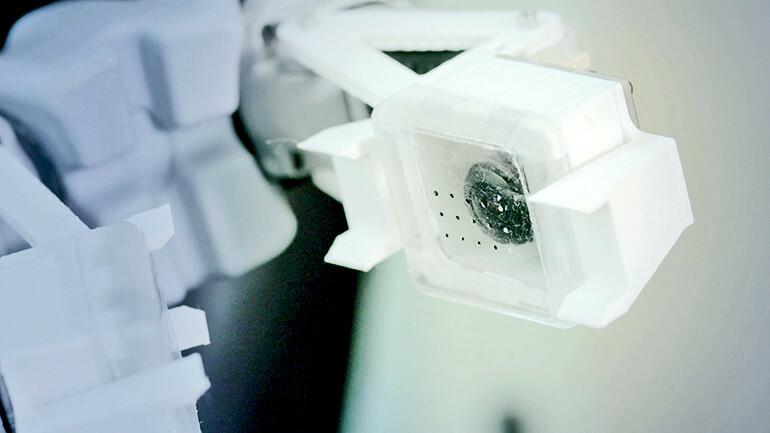 After identifying different foods on a plate, the robot can strategize how to use a fork to pick up and deliver the desired bite to a person’s mouth. About 1 million adults in the United States need someone to help them eat, a time-consuming and often awkward task, one largely done out of necessity rather than choice. The idea was to develop an autonomous feeding system that would attach to people’s wheelchairs and feed them whatever they wanted to eat. The researchers arranged plates with about a dozen different kinds of food, ranging in consistency from hard carrots to soft bananas. The plates also included foods like tomatoes and grapes, which have a tough skin and soft insides. Then they gave volunteers a fork and asked them to pick up different pieces of food and feed them to a mannequin. 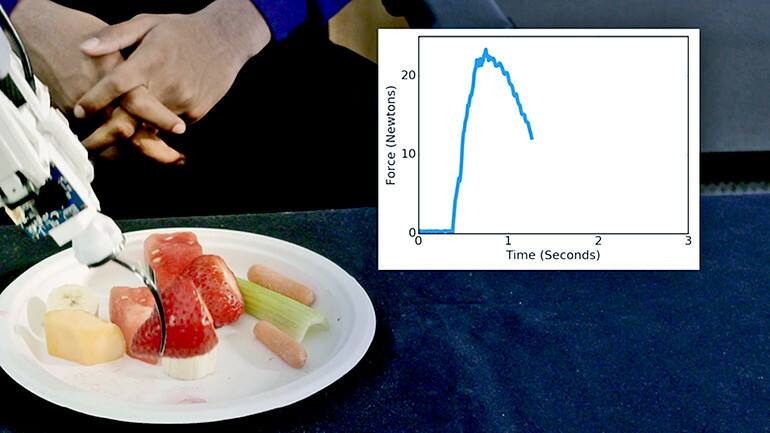 The fork contained a sensor to measure how much force people used when they picked up food. The team also notes that the acts of picking up a piece of food and feeding it to someone are not independent of each other. Volunteers often would specifically orient a piece of food on the fork to make it easy to eat. To design a skewering and feeding strategy that changes based on the food item, the researchers combined two different algorithms. First they used an object-detection algorithm called RetinaNet, which scans the plate, identifies the types of food on it, and places a frame around each item. The team published its results in a series of papers. One of the papers appears in IEEE Robotics and Automation Letters. The researchers will present the other paper at the ACM/IEEE International Conference on Human-Robot Interaction in South Korea. Additional coauthors are from the University of Washington and Technische Universität München in Germany. The National Institutes of Health, the National Science Foundation, the Office of Naval Research, the Robotics Collaborative Technology Alliance, Amazon, and Honda funded the work.